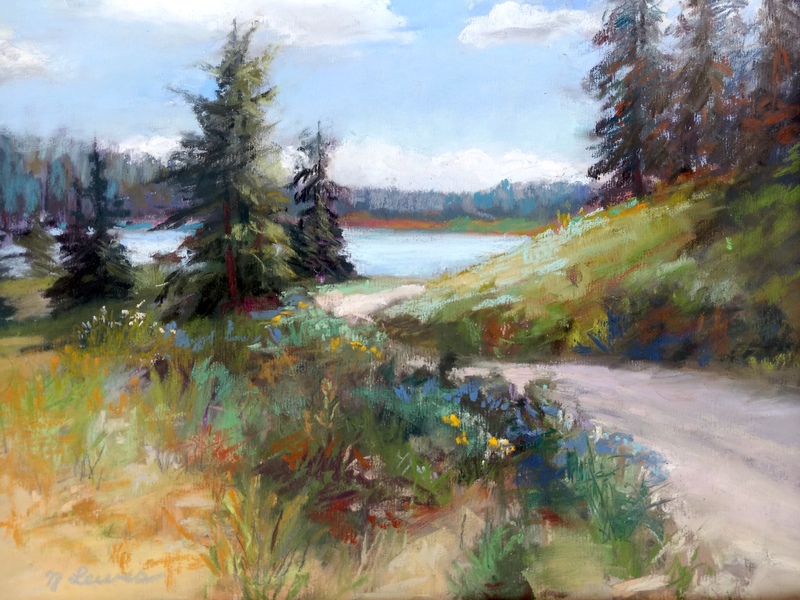 Improve your pastel painting skills with artist/instructor Nancy Lewis as she guides you through the art of pastel painting outside. In this three day workshop you will be exposed to new concept and approaches to painting with the purity of pastel. We will start with basics of approaching painting outside with simple sketches studies to develop compositions, values and color approaches. We will explore different types of surfaces, experiment with under-paintings and explore shapes as you use light and dark to develop dimensional forms. You will learn the secret of layering to create brilliant colors. The objective of this workshop is to learn to see and transfer newly found passion into your own expressive art. Nancy Explains: I love painting outside and sharing this amazing experience with others. Mother nature is the very best teacher in which we all can learn from. Painting outside offer a visual enrichment we can not make up. As an instructor with great patience and yet passion, I provide guidance on how to capture the landscape with pigment. Whether you are a beginning artist or has many years of experience, I will give you the tools you need to simplify what you see and break it up to workable shapes and values. We will build on those strong foundations and learn about pastel application, color harmony, color temperature and mood to help express yourself fully and paint what you really feel. About Nancy Lewis: Nancy Lewis, an award winning regional and national artist, has been teaching for 25 years as an artist, instructor at Colorado Mesa University, Colorado Institute of Art, Arapahoe Community College, and the Autocad Professional Training Center. Nancy has been teaching people new graphic skills in multiple mediums. She shares her artistic insights to using color, visual elements of art, and design concepts through exploration and experimentation. Her teaching style is to present the new concepts with lectures and demonstrations and lots of time to practice. Nancy will guide the students through new concepts and challenges in a hands-on approach with plenty of one-on-one individual attention.